The Government’s top official on Sustainable Development Goals (SDGs) has lauded the activities, supported by Palli Karma-Sahayak Foundation (PKSF), to drive positive changes in the socio-economic and cultural life of the rural people, particularly those usually ignored in traditional development interventions. Md Abul Kalam Azad, Chief Coordinator on SDG Affairs, Prime Minister’s Office, said proper coordination among the PKSF and other development agencies of the Government is a must for achieving the SDGS by the 2030 deadline. 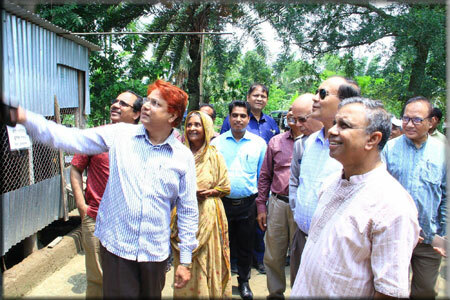 He was among a high-profile delegation that visited different PKSF-supported activities implemented by SOJAG (Somaj o Jati Gathan) — a Partner Organisation (PO) of the PKSF — in Sombhag Union of Dhaka’s Dhamrai upazila on 02 June 2017. Led by PKSF Chairman Dr Qazi Kholiquzzaman Ahmad, the delegation also included Director General of NGO Affairs Bureau Khandakar Rakibur Rahman, PKSF Board Member Dr MA Quassem, Managing Director Md Abdul Karim and Deputy Managing Director (Admin) Dr Md Jashim Uddin. The visit started with a meeting at the SOJAG head office where its Executive Director Mr Abdul Matin apprised the delegation of the PKSF-supported activities in their working areas. In a presentation, he showed how effectively ENRICH, a flagship PKSF programme, was changing the lives of people who earlier had been left out of mainstream development activities. “I used to work as a house help or day labourer even a couple of years ago. 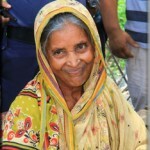 But now I myself have to hire people to work for me,” Asiya Begum, in her mid-50s, told the delegation that was visiting her ENRICH-ed house in Sombhag. “Last year, I took an appropriate loan of Tk 5 lac from SOJAG. With that money, I bought cows, goats, poultry, ducks and pigeons, set up a biogas plant, started vegetable gardening on my homestead. 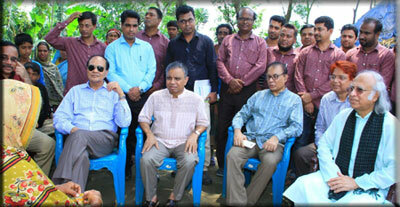 I also was provided necessary training and other services for all those activities. “I have more money now than I ever had in my life. Within just a year, I have managed to return Tk 1.72 lac of the loan. All my family members are well taken care of. 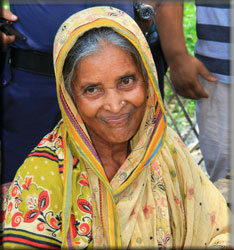 I no longer have to worry about food or health services for me and my family,” said Asiya. The visiting delegation was full of praise of her success, which eventually represents the overall success of the ENRICH’s holistic approach to poverty alleviation and beyond poverty development. The delegation then went to inspect different PKSF-buoyed activities including beggar rehabilitation, youth development, ENRICH Centres and Education Assistance Centres, Income Generating Activities with PKSF loan support, improvement of the quality of life of the elderly people, production and processing of quality crop seeds, artificial insemination centre for livestock, etc.